There are negotiations on-going between Washington and Tashkent on the use of Uzbek territory for U.S. military facilities. Americans are considering doing so because of the loss of the Manas airbase in Kyrgyzstan. There are alternatively discussed airports such as Khanabad, Termez and Navoi. Representatives of the U.S. State Department and other American agencies have, over the course of the past little while, been visiting countries of Central Asia, where they are negotiating the use of certain military facilities. After losing the Manas airbase in Kyrgyzstan, the center for U.S. military presence in the region may shift to Uzbekistan. And all this is despite the fact that, the U.S. has had a negative experience with regards to military cooperation with Tashkent. In 2001, the Americans were granted the Uzbek military airbase at Khanabad just outside of Karshi in order to conduct their anti-terrorists operation in Afghanistan. You will recall that, in 2001 after receiving permission for use of the airbase Khanabad, the Pentagon upgraded to fit its standards. The runway was renovated and the base was equipped with all the modern means of communication and air control. At that time at Khanabad almost all military aircraft designed for logistical support of U.S. troops in Afghanistan were deployed, including more than 30 military transport aircraft C-130 and C-17 in addition to F-15 fighters and F-16. Military service personnel stationed on the base numbered 1,300 U.S. soldiers, making Khanabad the largest U.S. base in Central Asia. However, in 2005, after the events in Andijan, the U.S. was expelled from the country “for supporting local radicals and international terrorism.” In response, Washington imposed a series of sanctions against Tashkent. However, after five years, the United States, realizing what they have lost, began to seek the restarting official cooperation with Tashkent. “As far as I know in Uzbekistan, we are talking about the return of the American armed forces stationed at the airbase Khanabad, said the author an expert on Central Asia and the Middle East, Alexander Knyazev. According to him, the Americans want to be stationed along the Uzbek-Afghan border at the airbase in Termez, where Bundeswehr military personnel are stationed. It is assumed that, at the end of “Operation Enduring Freedom” in Afghanistan, Germany will withdraw its troops; and moreover, the agreement on the lease of the Termez airbase ends at the end of this year. As an alternative, the Americans can use Uzbek airport Navoi. A few years ago they were able to deliver non-military cargo through this civilian air hub. Information on the on-going negotiations was leaked on a recent trip by the Senior Director for Russia and Eurasia on the National Security Council, Celeste Wallander. It was learned that during the meeting Wallander divulged authorization had been granted for some kind of U.S. military presence in Uzbekistan. A month earlier, the topic was discussed in Tashkent by the U.S. Undersecretary of State, William Burns. He, in particular, proposed the creation on the territory of Uzbekistan of aviation maintenance points for air traffic travelling to and from Afghanistan. He explained that the situation requires it, “The U.S. commitment to maintain peace and stability in Afghanistan and throughout the region will continue after 2014. Our commitment to this very important region of the world will be maintained. The U.S. is not going anywhere”. At a meeting with Uzbek journalists, Burns noted that alliance forces will perform another role, which included “training and consultations with Afghan military personnel”. Uzbekistan was not selected by accident. In 2013, the country withdrew from the Collective Security Treaty Organization (CSTO). And in May this year, in Tashkent NATO opened a representative office. NATO Special Representative to the Secretary General for the Caucasus and Central Asia, James Appathurai, at the opening of the headquarters of the North Atlantic Alliance promised that his organization would help Uzbekistan carry out needed military reform. And in the course of this plan, modernize the defense structure of the country and improve the system of military education. In this context, a delegation visited Tashkent led by the United States Secretary of the Navy, Ray Mabuse, to determine the specific needs of the Uzbek military with regards to equipment. The infamous “Mabuse list” appeared which included demining equipment, aerial scanning devices, night vision equipment, as well as eavesdropping and surveillance equipment, plus equipment that would allow control over the Internet and to hack social networks. All this equipment has a dual purpose. Given that in the foreseeable future Uzbekistan will likely not have to deal with the Taliban aggression, the expected equipment from the U.S. is needed primarily for the regime’s internal purposes and to fight not only against armed Islamic radicals, but also against any localized discontent and dissent. Finally, it can be used on the borders of Uzbekistan with its neighbors. In addition to that, it is also planned that the Republic will receive parts of the military equipment taken out of service in Afghanistan. 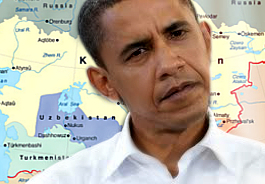 However, Alexander Knyazev believes it is too early to say that the U.S. will “enter Uzbekistan”. “As far as I know, this desire does not meet the particular readiness on the part of official Tashkent. Other countries are more willing to take such steps; countries such as Tajikistan, Kyrgyzstan. Uzbekistan has adopted a more reserved position. There are presidential elections in the offing for Uzbekistan; and in Tashkent they are closely watching the crisis events in other post-Soviet countries. So I think that for now, the prospects for in the medium term, such as highlights of rapprochement with the West, should not be expected,” said the author and expert on Central Asia and the Middle East, Alexander Knyazev during a recent interview. Moreover, Uzbekistan has no intention of severing relations with Russia. Islam Karimov managed to familiarize Moscow with the turns in their internal politics. The political scientist, Rafik Saifullin in a conversation with the author noted that, “the government of Uzbekistan is interested in cooperation with the military alliance of NATO to maintain stability in the region. The opening of a representative office was a logical continuation of this line.” According to him, the situation is clear and it is not necessary to build a conspiracy theory. The politics Uzbek leadership has always taken a balanced approach, so to say that the arrival of NATO in the country is, all of a sudden, on a changed course and geopolitical power will unfold in one direction or another, makes no sense. “Also, do not expect any political or economic dividends from the alliance,” said Saifullin. Against this background is the relatively smooth development of Uzbek-Russian economic relations. According to the trade offices of both countries, trade between the two reached 28.86 billion dollars in 2013, of which 15.087 billion was for goods exported, while 13.798 billion was imported. Uzbekistan supplies to Russian natural gas, automobiles and textiles. And Gazprom, Soyuzneftegaz, Lukoil and Transneftegaz are implementing their projects. In Uzbekistan they are striving to cooperate with Russia solely on a bilateral basis and view the participation in international organizations created by Moscow as a threat to its sovereignty. There are no other obligations to which Uzbekistan wants to be tied. And if Tashkent’s relationship to the CIS is easy enough, considering it as an unavoidable and helpless vestige of the early stage of the post-Soviet era, then the CSTO as an organization of an emerging Eurasian economic union is perceived with suspicion. Victoria Panfilova is a columnist the Independent Newspaper and for the online magazine “New Eastern Outlook”.